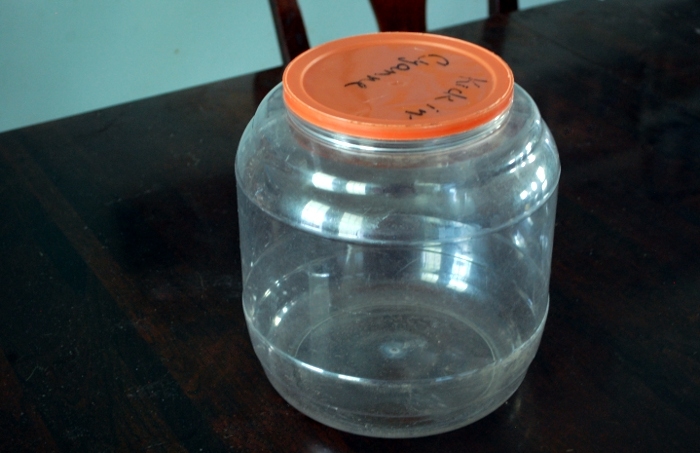 My mother had an old pork rind container that she was getting rid of, and she asked me if I would like it. Would I? Oh yes, I would. 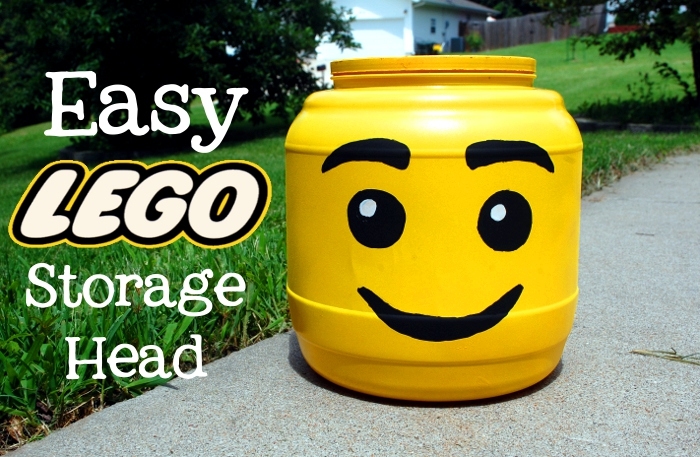 I’ve seen lego head containers floating around on Pinterest and I knew the boys would love one! I made it, and you can, too. Step one: remove the label. There are a lot of ways to remove stickers from plastic; I just soaked a washcloth and let it rest on the label until it could be scraped off, then spent a little time scrubbing off the residue. Voilà! Multiple thin coats cover and stick better than one heavy coat. Be sure to get the whole surface, allowing it to dry well in between. Step three: add the face! 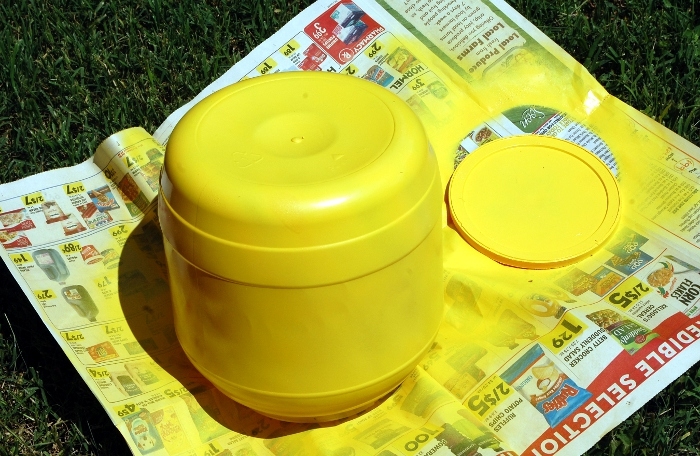 Coat with clear spray to protect the paint from chipping off. 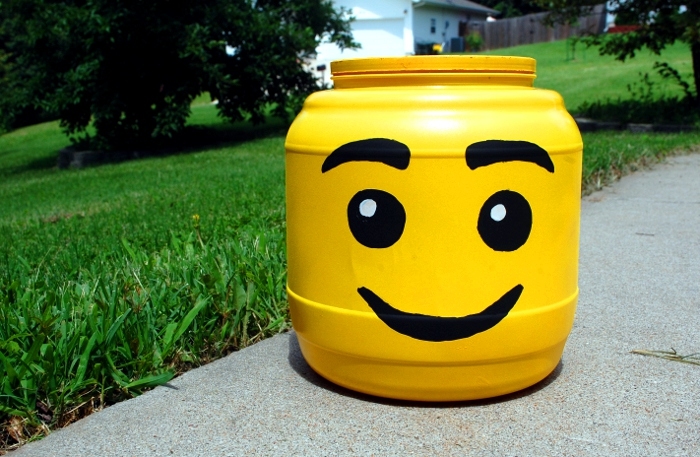 Let dry completely before surrendering it to the children! See how easy that was?